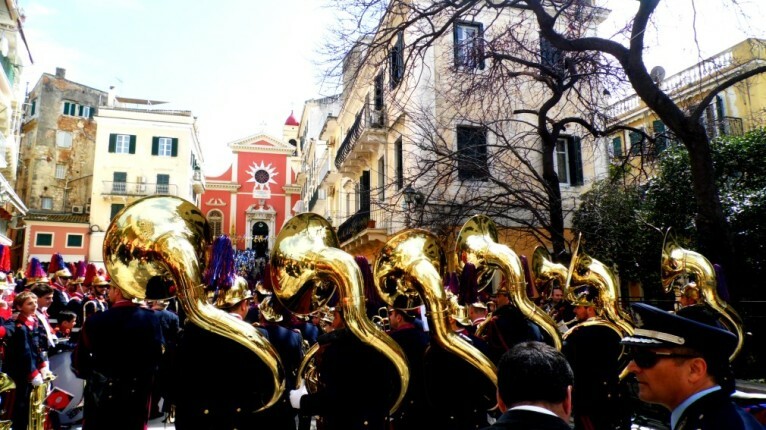 The Corfiots are extremely proud of their Philarmonic bands – there are more than 18 bands in Corfu at the present time and they are all non profit organizations. The bands date back to as early as 1840! It is an excellent way for young children to learn to read music and then progress to playing an instrument without the costs of expensive tuition. Playing in the band becomes a family tradition and it is not unusual to see more than one generation marching together. 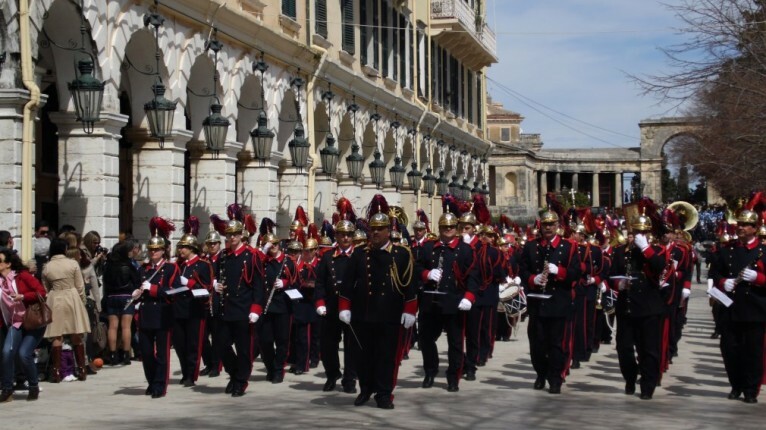 Each band has its various obligations and performances in their own villages but several times a year many of the older bands come together in Corfu town in huge parades to participate in celebrations. Dates to watch out for are Palm Sunday (the Sunday before Orthodox Easter) 11 August (St. Spyridon Day) 21 May (the union of the Ionian Islands with Greece) 28 October (Oxi day – commemorating the rejection of Mussolini’s ultimatum in 1940. You will feel, as much as hear, the vibrating music – a colourful sight and moving experience not to be missed.